Apple has reacted quickly to rectify the issue with their activation servers that allowed iPhone owners to unlock their devices, anyone who didn’t get involved when the process was first announced will unfortunately be left with an iPhone restricted to a single carrier. However, if you are one of the enterprising few who jumped into action right away, then read on to see just what you can do with those saved activation tickets. 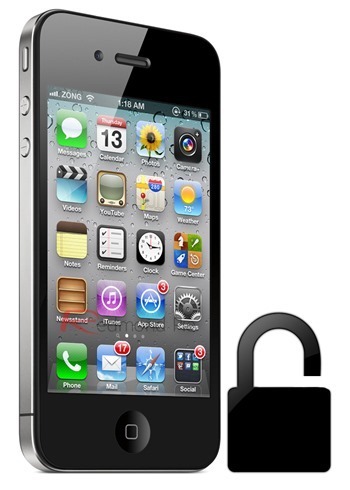 For those who jumped onto the SAM unlock bandwagon at an early stage and managed to backup their activation tickets, it is possible to restore the tickets and use them to unlock the iPhone again, something that will be extremely useful in case the user needs to restore the device for one reason or another. It is worth noting that you will need a jailbroken device to carry out the process, and your Lockdown folder should be backed up, to a cloud based location such as SkyDrive, Dropbox (recommended) or Google Drive. This is something that should have been done immediately after finishing the SAM unlock process. If all of this seems familiar, then take a look below to see how you can restore your activation ticket in order to unlock again after a firmware restore. Step 1: Locate the SIM card that was used during the initial unlock process. This is the unofficial SIM card, not the SIM that was provided by the official network. Step 2: Open up the iFile app on your iPhone and use it to navigate to the /var/root/Library directory. If you don’t have iFile installed, it is available as a package from within Cydia with a free limited feature trial. Step 3: When you are in the directory mentioned above, select the ‘Edit‘ button in the top right hand corner of the iFile user interface. When the directory is in edit mode, select the Lockdown folder. Step 4: With the Lockdown folder selected, press the zip button to create a compressed file backup of the Lockdown folder. Once the zip file has been created, make sure to name it something that will distinguish it and is rememberable. Step 5: Scroll to the bottom of the current directory and make sure that your zip file has been created and is available. If it is, then delete the entire Lockdown folder using the trashcan icon. Step 6: Bring up your Dropbox folders and locate the Lockdown folder that contains the valid activation ticket, created by the unofficial SIM card that was used during the unlock process. Open up the recently created zip file using the iFile app once again and select the ‘Unarchiver‘ option. Step 7: The contents of the zip file will now be extracted and dumped into the default directory, which in most instances is the Documents folder. Step 8: Once again, select ‘Edit‘ in the top right hand corner of the iFile user interface before selecting Lockdown, and press the clipboard icon which would in turn copy the Lockdown folder. Tap the ‘Done‘ button. Step 9: Still in iFile, navigate to /var/root/Library and select ‘Edit‘. Select the clipboard icon and then tap ‘Paste‘ before tapping the ‘Done’ button. Step 10: If you still have the SAMPrefs package installed on the device, then navigate to /User/Library/Preferences and search for SAM. When found, make sure to delete the com.bingner.sam.plist file if you can find it (it may not exist in some cases). The purpose of this is to make sure that everything goes smoothly without any conflicts. Step 11: Turn the device off, making sure that it is powered down entirely. Step 12: Turn the iPhone back on and wait until it loads all the way to the home screen. After the device gains a network connection, it should be with the carrier of the unofficial SIM card. So there you have it. The steps themselves may seem in-depth or complex to new users, however, this is something that shouldn’t really need to be done unless the device has been restored and even then it should only take a few minutes if followed correctly. If you’re having problems ՍΝᏞΟᏟΚing AT&T phones, go take a look at just google atttiphoneeuunlocking, it’s no doubt the most trustworthy site for ՍΝᏞΟᏟΚing AT&T phones, we can ՍΝᏞΟᏟΚing the new 6S and 6C as well.